Like a middle child, the Kia Forte is often overlooked as compact stalwarts like the Honda Civic and Toyota Corolla hog the limelight. But the Forte has its place, offering a modest price, tasteful styling and an excellent warranty to those willing to consider an up and comer. First car I drove with a driver's license. Tough little car that handles really well. A smooth ride and a cheaper choice for families. We've had our Kia for a while now, and it is handled road trips no problem. It is gone over 90 mph and has not had any problems besides a broken windshield from hail. It feels sportier than many small cars. The Forte also offers a host of impressive features such as Bluetooth and standard electronic stability control. Its is crash-test performance was good too. The car was available as a coupe or a hatchback, and offered an optional 2. 4-liter. While a big improvement, it still ranks below the class leaders. Downsides include a stiff ride, noisy engine and a mediocre driving position if you are taller. It is styled like Kia's sporty stinger, but the Forte's stock in trade is comfort and refinement. The four-cylinder engine is smooth but far from gutsy; it is all about fuel economy, and the Forte delivered 41 mpg highway in our testing. The cabin looks and feels upscale and features standard touchscreen infotainment, Apple CarPlay, android auto, and dual-zone automatic climate control. A slew of active-safety features are offered, including standard automated emergency braking and optional adaptive cruise control. 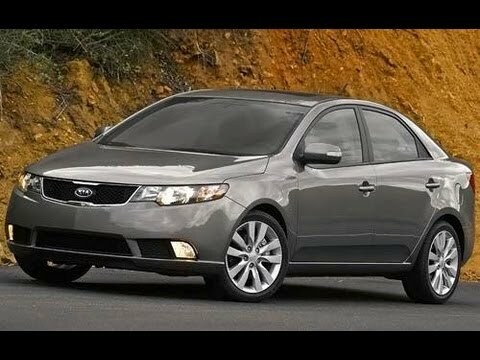 Kia forte 2012 ex sedan grey review/recommended. I have enjoyed my 2012 Kia forte ex for the most part. The interior is average nothing special, the seats are a bit stiff but the wheel is comfortable. The display is clear and bright red. There are radio/volume/cruise control buttons on the wheel. The speedometer reads 140 but I personally know the car will not go above 120, I have tried. I currently have 80, 000 miles on my car and have no issues other then normal wear and tear such as brakes and tires. I have traveled the country with this car as far west as Colorado and I am from New York. Great gas mileage. I'd recommend this car to any buying a first car. I got my 2012 Kia forte in January of this year. I have really enjoyed my car. I love my car, so far it has been trustworthy. It drives good and the ride is smooth. My car gets very good gas mileage. It also is very cozy, 5 people can fit comfortably. Easy to keep clean, if you do it on a daily basis. The air conditioner and heater work very well. I have many different people and friends that have ridden in my car and they love my car as much as I do. The car is black and really shines (when) it is clean. Have never had to have anything seriously done, just the oil.